Below is my review of Sgt. 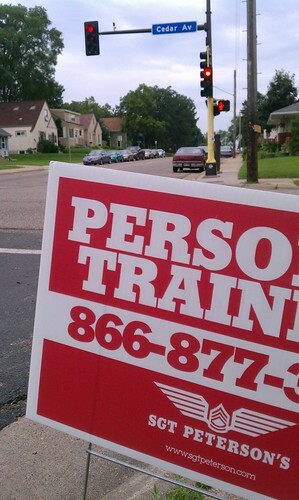 Peterson’s Book Camp personal training. 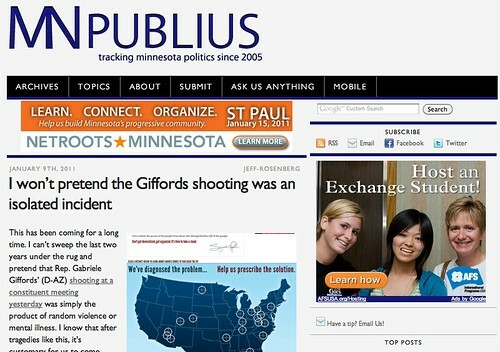 I’m not interested in spending money with a company that spams the City of Minneapolis with illegal snipe advertising. In April 2011: Aric McKeown wrote a post about the ongoing Sgt. Peterson’s illegal snipe situation on his Hardest Working Lazy Guy blog. That blog post is a work of art. Aric documents a crazy conversation he has with Tim Peterson where the Sgt claims ignorance of the law. @aric Actually didn’t know it was illegal everywhere before reading the Code of Ordinances. Sounds like we’ll stop putting signs up. However, Sgt. Peterson continued to spam our city after Aric informed Sgt. Peterson that what he was doing illegal. Do you know someone who wants to get paid $35.00 per week to place 25 small ground signs within 5 miles of downtown Minneapolis. I am told it takes about 2 hours. The comments on Aric’s post are awesome, including one from Sgt. Tim Peterson where he attempts to justify his littering. Aric has kept the pressure on Sgt. 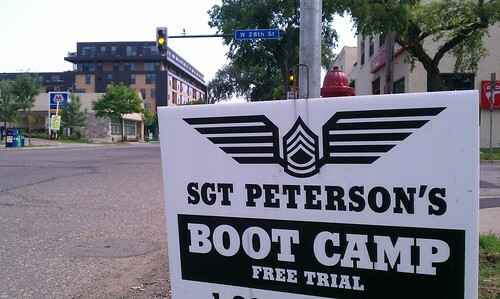 Peterson, with a new post up: SGT Peterson’s Boot Camp Knowingly Breaking the Law. People don’t want to be told what to do, they love to be inspired. Perhaps Aric’s documentation of Sgt. Peterson’s ongoing illegal activity will inspire Sgt. Peterson to be a more responsible business person? One can hope. If there was one thing that makes me question the financial viability of online media businesses, it would be the differences in revenue generated by visitors to websites who use Microsoft’s Internet Explorer web browser, vs. the rest of the planet. 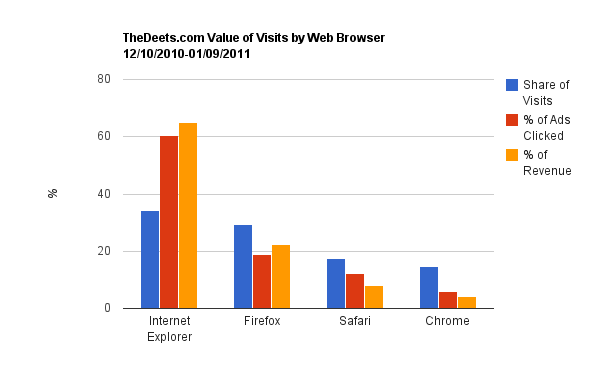 Visits via Internet Explorer are down to 34% of visits. FireFox is at 29%, which is a bit of a drop too. Safari has gained a bit, but Chrome is making the biggest gains. 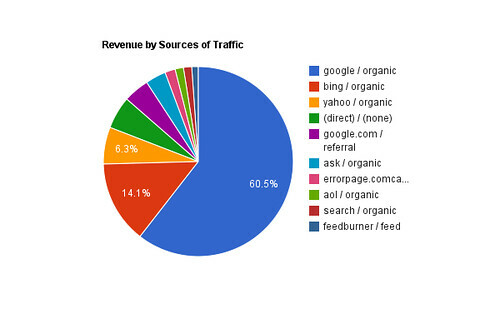 While IE web browsing visitors account for only 34% of TheDeets.com’s traffic, those visitors are responsible for 60% of the ad clicks and 65% of the site’s revenue. 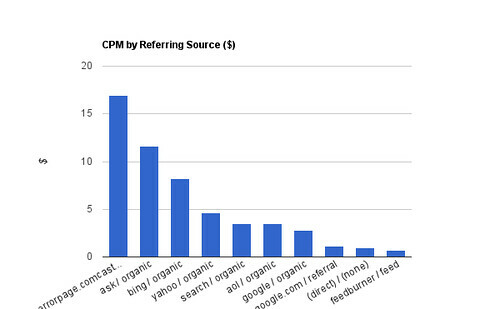 At the other end of the spectrum, Chrome web browser users, I see a 14% visit share, and a measly 4% share of ad revenue. If you’re trying to make a living off online ad revenues, this could be problematic. As I see it, the IE crowd is likely people who’ve bought a Windows computer and have stuck with their computer’s default web browser (along with people who are forced to use IE on work computers). I’m assuming that this group of web users are relative novices compared to people who’ve taken the time to install a different browser (Firefox or Chrome) or buy a better computer (Safari is the default Macintosh browser). People browsing with Internet Explorer are twice as likely to click an ad during their visit as Safari users (the other default user crowd). 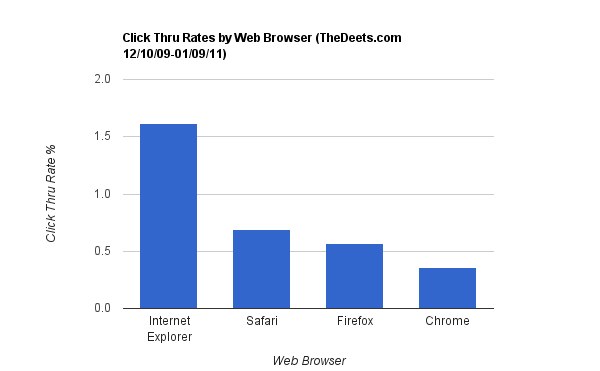 IE users are 3X more likely to click an ad than FireFox users, and 5X more likely to do so than Chrome web browsing visitors to TheDeets.com. The challenge here for publishers is that more and more people will fall into the Safari, FireFox, and Chrome profiles over time as they become more experienced web surfers. Then who’s going to click the ads? As I think about this, it reminds me of the experience I have whenever I visit a new country for the first time. After landing at an airport, everything is new, including the advertisements. I find myself actually interested in the ads in subways, on billboards, bus benches, etc. But, over time, my interest wanes. I imagine this is partly because the ads become relatively redundant over time. I don’t have the same level of engagement with a cell phone carrier’s ad the 100th time I see it. But, it’s not just the content of the ads that gets ignored. It’s whatever appears in locations that have proven to provide little value over time. Translating that to the web, people who’ve spent a lot of time online have seen a TON of ads, so are already familiar with a huge portion of the ads they peripherally see every day. Additionally, there are certain locations on pages, and shapes of content that their brains have learned to ignore since they have proven to provide little value. And, beyond that, a small portion of experienced web users have installed ad blockers, so don’t even have to ignore the ads on the page. That’s right. A shoe ad. 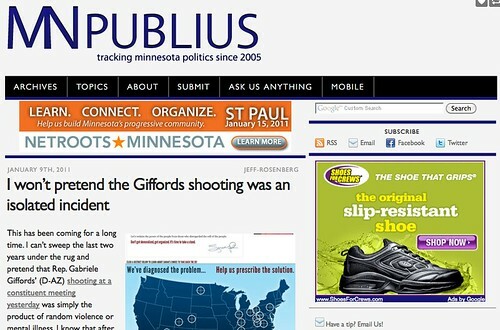 How dare MNPublius serve ads for shoes, software companies and non-profit organizations to a guy like me. Who do they think they are . . . or, who does Google think I am? Who DOES Google think I am? The kind of guy who buys shoes, software, and has been visiting sits like Kiva lately, so may have an interest in hosting an exchange student? 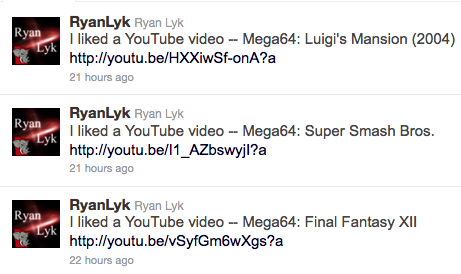 And who does Google think Ryan Lyk is? Not a shoe or software buying non-profit perusing guy like me, I guess. Strangely, when Lyk shows distaste in the ads served to him, he’s actually showing distaste at his own tastes (as Google sees them). Looking into the mirror can be a real buzzkill. The point here is that Google takes a ton of variables into consideration personalizing advertising to individual visitors. This includes a visitor’s location, language settings, and browsing history. Try it yourself. 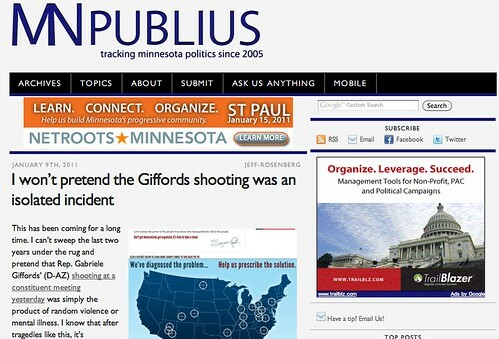 Visit the story on MNPublius and see what types of ads Google serves to you. 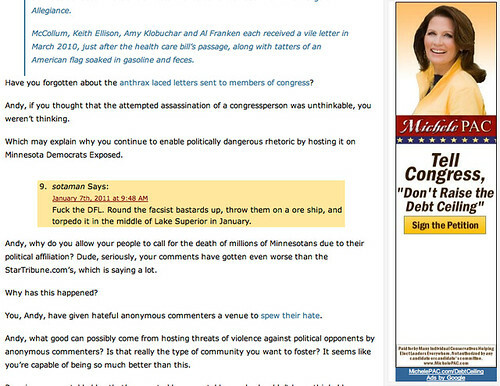 I think we can all agree that Michele PAC’s money is best spent advertising on The Deets. Coincidentally, Ryan Lyk was outraged last week about elected officials buying online advertising in support of political agendas. I if his outrage applies to Michele Bachmann, or only to politicians he disagrees with? I’m not saying that search engine traffic is important for advertising revenue. I’m just saying that it plays a significant role. In the case of this site, it accounts for around 80% of AdSense revenues. Your numbers may vary. For example, if your site is not search engine friendly, you’ll probably earn a larger percentage of your Google AdSense revenue from other sources. Sorting that data CPM rate (how much I make per 1,000 ad impressions on this site), we can, again, see that loyal visitors are worthless from a Google AdSense perspective. At the far right is traffic from people who come here directly (bookmarks or typing in the thedeets.com to their browser) or people who click over from a feed reader like Bloglines. I think the Google Referrals on the right account for people who’ve set this site as a feed on their Google.com custom homepage. The funny one is the high revenue per visit from Comcast error pages. These are people who attempted to type something into their browser, failed, then saw a link to something on The Deets among the links on that error page. After clicking over to The Deets, they, again, may have realized they were in the wrong place and left through an ad they clicked. Thanks(? ), Comcast, for sending inexperienced web users to my ads rather than helping them find what they were actually looking for. Anyone know what’s going on here at Backpage? This category has been temporarily placed under review. We are currently working hard to improve the category’s safety and security for our users and plan to re-open it as soon as possible. What inspired this review? Strangely, the truly adult categories are not under review while these are. Is it a case of looking into adult related ads creeping into non-adult-specific categories? As some of you know, I’ve been slowly working on a hobby startup in my spare time called Junk86 that’s designed to help people get off of print mailing lists in order to return their mailbox to something with a more sane signal to noise ratio. Sadly, we find ourselves living in a world where businesses think that we want to be best friends forever because we bought one thing from them one time. Or, because we happened to buy one thing one time from the company they bought their mailing list from. Or, because we happen to live in a certain zip code. Either way, it’s generally fairly easy to solve the print mailbox overload problem since most businesses, while overly optimistic, are sane. It turns out that direct mail advertisers understand the value of their lists, since response rates tie to profitability. Because of this, getting off lists is generally a matter of contacting companies to request removal. This, of course, takes time, navigating websites, finding the right person to contact, yadda yadda. Junk86 takes away the friction by allowing you to snap a picture of the junk mail on the way to the recycle bin. Send it in and we’ll do the heavy lifting. Which brings me to Qwest. This company is proving to be the toughest nut to crack to date. In fact, the customer service agent I chatted with flat out refused to remove me from their mailing list and wouldn’t refer to me to anyone within the company who would. Seriously. As the above video and transcript below show, getting off Qwest’s direct mailing list isn’t as simple as politely asking them to stop. Which leads to the value of Junk86. Eventually I’ll crack this nut, and Junk86 clients who don’t see a need for Qwest mailings clogging up their mailbox will benefit. Chat Information: Thank you for contacting Qwest. My name is Mark. How may I help you today? Current Resident**: Hello, I’m trying to figure out how I can get my address off of Qwest’s print marketing mailing lists. Could you help me with that? Mark: Will you please verify the phone number or account number that you are inquiring about? Current Resident: I’m not a customer. I receive advertising from Qwest at my apartment and would like it to stop. That would save me some time, you some money, and the environment a bit of pain. Mark: I am unable to assist with that request. Current Resident: Do you know of someone I could talk to about that? A contact in marketing, perhaps? Current Resident: That’s very disappointing. Surely, there is someone within Qwest who’d think it’s smart to NOT send print marketing materials to people who don’t wish to receive them. I just need to know who to talk to, a department, an online form, email. Something like that. Mark: Is there anything else that I can help you with today? Current Resident: Wow, this is very disappointing. I’m sorry to hear that you were unable to assist me with what I believe is a very reasonable request. Mark: Thank you for using Qwest.com today. Our goal is to provide you with excellent service and we appreciate your feedback, please take a moment to complete the post chat survey. If you need further assistance, please click here for additional customer service options on Qwest.com. We invite you to learn how to surf safer and smarter online. Click here to visit the Incredible Internet site and get online safety certified. Chat Information: Thank you for using Qwest.com. Your chat session has ended. * This chat is unedited with the exception of me removing Mark’s employee ID (or something like that). Some number that was after his name. ** Current Resident was the name on the mailing sent to a Junk86 client from Colorado who may or may not be a black woman in a sports bra who talks to Qwest reps in school cafeterias. One quick word that is meant to communicate that I’m not interested in what they sent me, nor am I interested in receiving similar communications from them in the future. Most don’t respond. Those who do tend to say thanks. Why would they be thanking me for unsubscribing? Because I could have marked their email as spam, which could effect their email deliveries to others since Gmail takes that sort of thing into account. The information I sent you is not for a mailing list. I know that your blog focuses on things happening around the Twin Cities, so I thought you might be interested in sharing with your readers. Just passing along information on a local event. What’s important to local PR professional’s clients and what’s important to me tend to have very little overlap. Frankly, I’m not interested in regurgitating press releases. That’s what mainstream media companies and mommy bloggers are for. 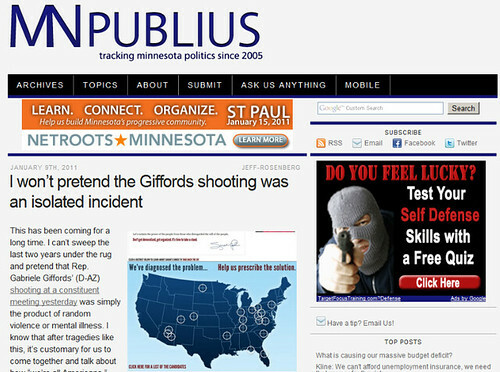 By the way, you probably won’t see the majority of these ads during your time on this site since many of them are likely set up to target visitors from specific areas of the country or work. An example of this would be Peugeot South Africa. weeks for mailings to stop. for a variety of customer service options. Time will tell whether they do truly honor it, but based on my experience with other direct mail marketing companies, I’m confident that they will. Why? Because direct mail companies live and die based on the performance of their lists. And their lists perform better if they are targeted at true prospects. Clearly, someone who isn’t interested in receiving direct mail pieces either isn’t going to be swayed by materials they’re not interested in receiving, so the marketers can decrease their costs while increasing their conversion rates by removing people like me. Compare that to the Yellow Pages model. Yellow Pages feel much less pain when they over-deliver their directories since they’re not directly benefiting from the sales that do or don’t happen from each book. Sure, their printing and delivery costs would be lower if they delivered to only those who planned to use the books. But they seem to be more concerned with creating the illusion that the books are nearly universally used so they can use that illusion in their sales pitches. Forget the fact that many people have moved beyond annual books for business information. Forget the fact that Qwest is one of three books delivered annually in cities like Minneapolis, so there is probably only a 1/3 chance that people will use that brand of book if they choose to use any yellow pages book at all. Just keep the illusion going a little bit longer. That makes the yellow pages more similar to a media model like newspapers, where newspapers have tried to game their circulation rates to create a similar illusion over time. If I step on the newspapers placed outside my hotel room door, and my luggage rolls over it, am I counted as one reader or two for circulation numbers? So, keep that in ind before you throw away a junk mail piece for the 100th time. Take a minute to send the company an email asking to be removed from their list. It really does work. In practice, do they measure up to that standard? Looks like he read the most recent post. I think its interesting how you documented where you stopped and what you ended up getting. From the looks of your destinations, it seems as we have the same interests when it comes to good eats. He does appear to have read at least one post on the site. I am a huge fan of great food but I like to save money when I can. Wait, what? That post wasn’t about saving money. It was about biking around town. Honestly, who doesn’t like spending less to get a great experience in a great city? That’s why I think you and your readers would love to learn more about LivingSocial. That’s why? It’s not because you’re being paid to spam people? Every day, LivingSocial will offer an amazing deal (we’re talking up-to-90%-off amazing) for local restaurants, bars, spas, theaters, and more. That’s already good, but I hope you like sugar, cause Visa is sweetening deals over the next couple months. You hope I like sugar? Are you sure that’s an authentic thing to say to this “right audience”? When the Visa Deal of the Day is on, you score a deal for your friend! This Friday (7/30) and next Monday (8/2), when you buy a Living Social deal with your Visa card, you’ll get another deal to give to a friend! Simple as that. That seems like something LivingSocial could tell me in their email or on the site next to the deal. I think we could both agree that I wouldn’t be swayed by this offer if I didn’t want the deal. So, why are you emailing me about this? Anthropomorphic spam is kind of creative. As it stands, though, we need your help to spread the word about these deals to your readers. Or, you don’t have an audience of your own, don’t want to spend money on advertising, or have convinced your client that spamming bloggers is the what social media is all about? Get ready? I can barely contain my excitement. If you aren’t able to cover the deal as a post, then we would like to have your permission (pretty please?) to post a comment to the last post on The Deets with the offer. Why would I want you to post information about this to a post I wrote about local bike trips? I look forward to hearing from you and let me know if you have any questions! Thanks, Visa Outreach Team, for engaging me in this social conversation. Color me informed. Key to effective execution is having a dedicated and professional outreach team that deeply understands the platforms being used. This is critical on two levels. First, you need to know the subtle and effective ways to maximize impact on each platform. Second, each platform has it’s own rules of engagement. Only by being an integral part of the platform ecosystem can you make sure that engagement is both respectful and effective. “Subtle and effective” sounds sleazy to me. I’m more interested in transparent and effective. Or honest and effective. According to some our social media software, you appear to have written about Groupon in the past and have a decent readership. Given that, would you be interested in hearing about an offer involving a Groupon competitor that’s partnering with a credit card company? If you’re not interested in this, but may be interested in future PR news, could you let me know what sort of topics or companies interest you so I can hit you up with the right stuff? That would work much better with me, and I have a hunch that others may prefer something like that as well. Go ahead and steal it if you agree, social media experts.